🙂 if you have linked to my blog or want to continue following me please visit me here where I will continue to update. The URL is subject to change as it is under my personal site, but if it does I will update here to let everyone know! Dropsy: Mango’s Fight. Part Two. Here is an update on Mango’s fight. 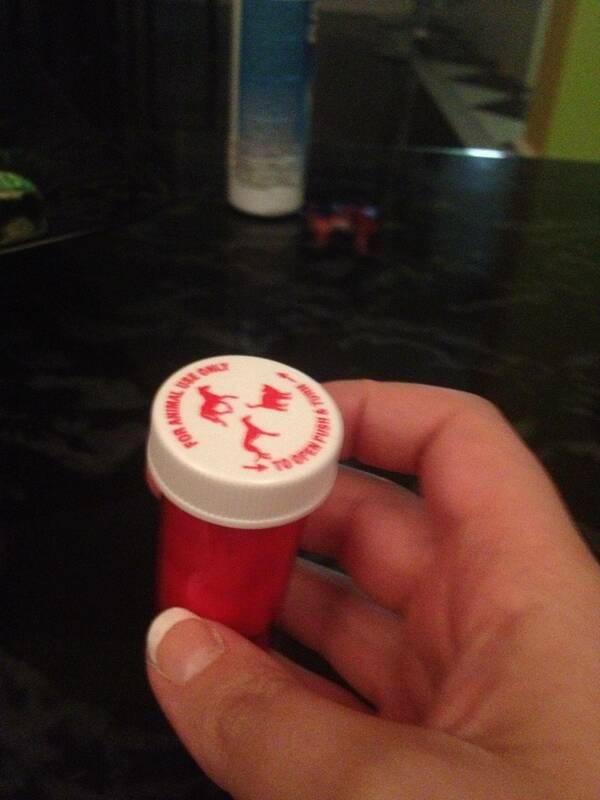 I have in fact been sent a small bottle of Metro Meds from a wonderful member in Koko’s Goldfish Forum. Of course I am so greatful that someone had taken the time to ship this to me, especially when I have been so broke lately! Mango is still active, and he still eats but at the same time, my poor little guy is getting more and more ill and I’m starting to wonder if the Metro Meds are taking any effect. For the hefty 15 grams that Mango weighs, he’s consuming 8 pellets of medication daily soaked in garlic guard. I’m cleaning his tank daily and trying to keep him as stress free as possible. His pine-coning has gotten visibly worse, he’s lost scales and now has blisters. Poor Mango is also darting, hiding and sadly hanging out near the bubble curtain. I am worried! But I will continue to treat him and make him comfortable until he either gets all better or gives up on living. Keep your fingers and fins crossed for him please! So as I have stated before in a previous entry Mango has mysteriously come down with dropsy. Although I had done an epsom treatment on my little guy it seems it hasn’t been enough to rid him of his problem and it has worsened. It’s very rare that a fish with the beginning symtoms of dropsy will be cured just by epsom, in most cases it will need medical intervention. 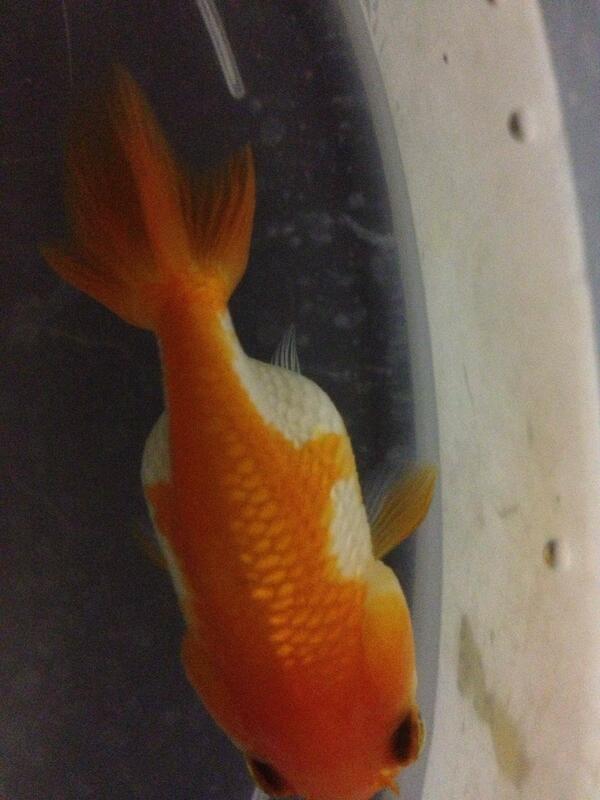 It does break my heart to see such a young fish suffer like this. Over at Koko’s a wonderful person has offered to ship me some metro-meds (which is a metronidazole enhanced food to feed your fish). I’m still anticipating it nervously in the mail but unfortunately days count and so with a lot of searching at my local fish stores I haven’t been able to find metronidazole for sale on shelves. It was by chance a fish store employee generously offered me some from the back room for the sake of helping my fish and so with the help from those lovely people at Koko’s Goldfish I have concocted a medication to keep Mango from getting worse. I have also purchased Garlic Guard for it’s anti becterial and anti parasitical properties and have decided to soak his food in it once a week as a new regimen. As a side note I have also purchased a new ammonia kit (as I had finally run out) and new suction cups for my heater since my previous ones broke! 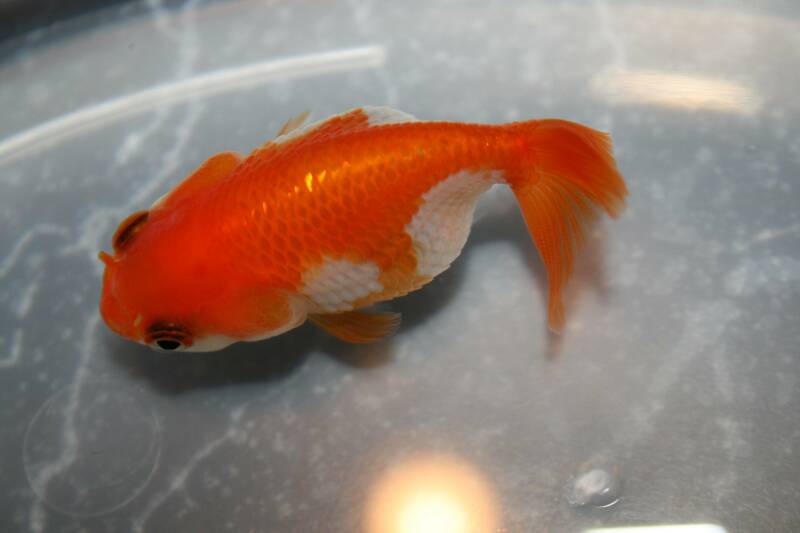 Please keep your fingers and fins crossed for Mango and his fight against dropsy! Well, now that I have had this tank running for months I think it’s time for a review. Over here is about 100 dollars CAD after taxes. A bit pricey as a couple of those things you could do without or buy cheaper separately than together, but it’s not a big deal. • The heater works very well, it has a sensor that shuts the unit off at the right temperature. It’s completely submersible, seems very durable. 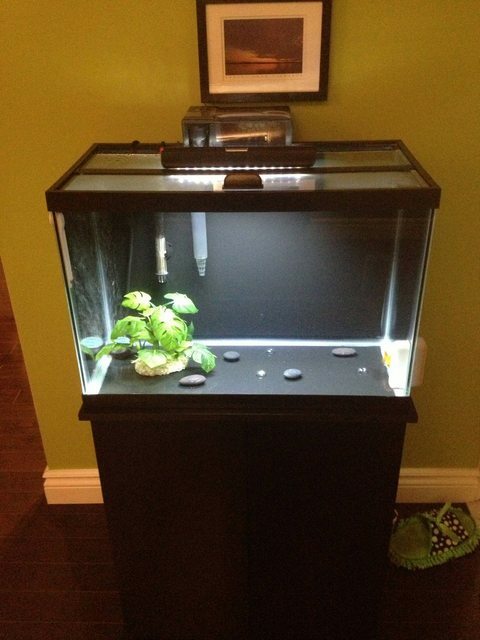 It will also heat a cold, empty tank with no fish in it very quickly so it has a lot of power behind it when need be. 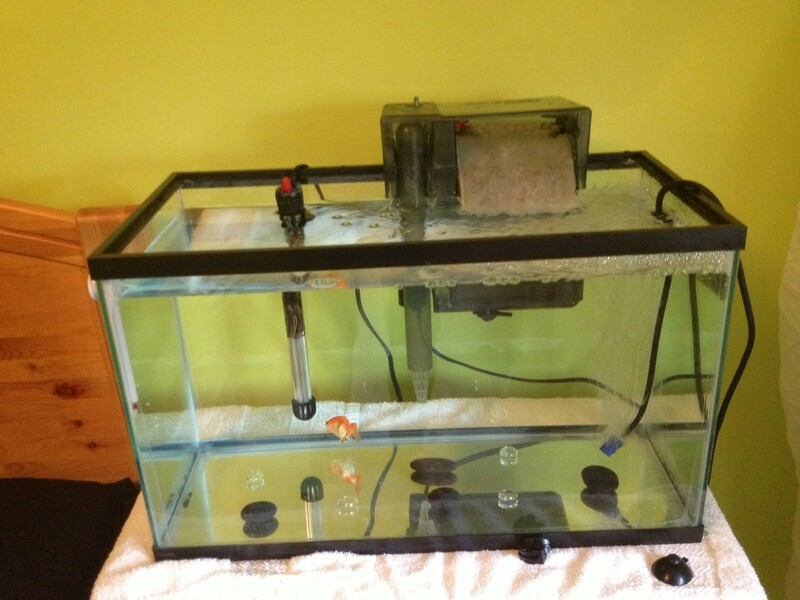 • The tank is very well built and sealed, I havent had any tank leaks, cracks or any issues with it. It’s built soundly. • The hood looks very sleek, it’s visually pleasing, and is rounded instead of geometric in shape. The hood hinges on and is secure on your tank. 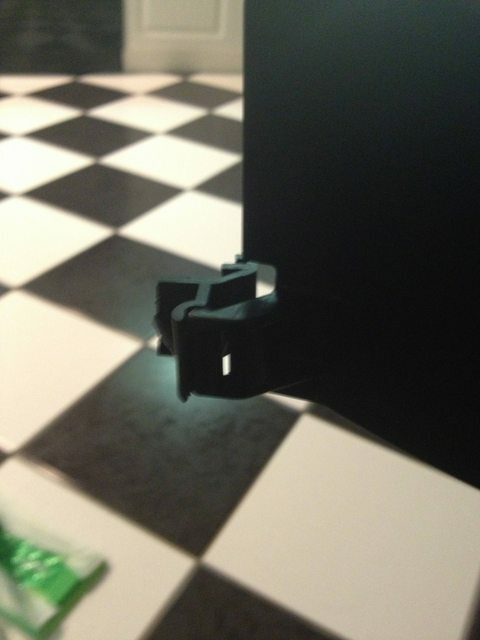 This item also has an in-built depression for the light with a plastic piece that slides in to protect it from water. • The LED lights have a night, and day function. It’s very bright but has a low impact on your power. • The silicone seal on the tank is sloppy, isn’t visually pleasing but at least it’s thorough. • The hood doesn’t allow the space for multiple filters. • The hood’s protective slot for the light broke, it also gets cloudy after time and needed to be tossed out. 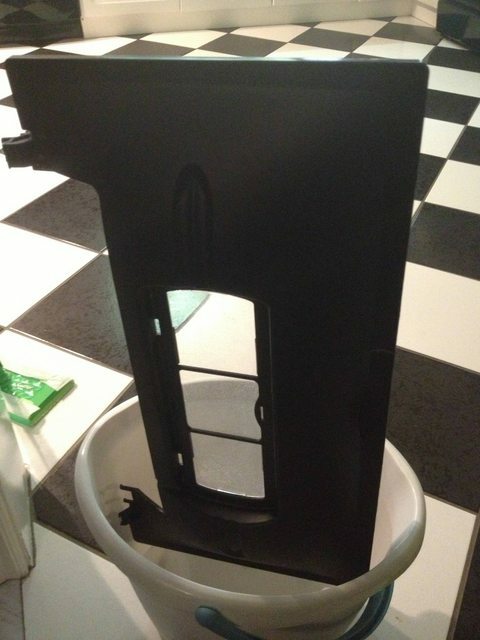 • The in built slot for the hood doesn’t protect the power cord attachment, it gets water spray on it which if you have hard water gets hard water stain and build up on it. Well in all honesty, the hood, hinges and suction cups are garbage. The LED after it burns out finally will have to be replaced with a whole new strip which can get pricey. But the tank itself which is the most solid component is actually solidly built and trustworthy. The heater too is actually really nice. It might be in someone’s best interest though, to buy items separately. If I had a choice I don’t think I would get the kit again. This tank is also weird in size, and needs a special kind of stand. It’s 24 x 12 x 18. I had a custom cabinet bought for it and only one store was willing to do it for me. 3/5 stars. Would not recommend it. protective plastic slot is broken and clouded from hard water. It’s also a pain to remove and clean! Hope this helps you guys out, watch out for products like this. What might work for someone sometimes doesn’t work for others! I like to think that knowledge is a thing you acquire through experience, but after the learning is done it is your duty to pass it on in good will of someone in need. I always hoped that others would share their experience to help others become better at what they are doing. First thing: You’re only human. Things happen that are beyond your control. Instead of feeling bad and beating yourself up about it, learn from your experience so that it never happens again. Make sure you pass on the good word and share your story. Next: Always place a mesh on your gravel vac or python. Accidents happen. 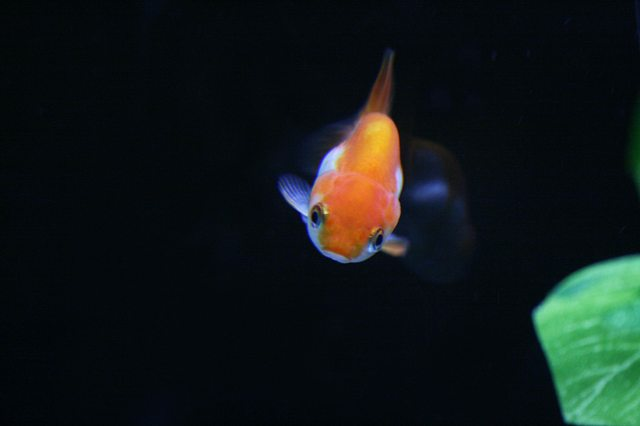 Many people have shared their horror stories about getting distracted and accidentally sucking their fish in the gravel vac causing eye loss or even worse; loss of life. Always make sure it’s covered with something to avoid it. Next: Give up the bucket method. I know the good old fashioned way of carrying buckets. I did it myself for months. Just don’t do it. Locate your tank somewhere conveniently to the tap that you change your water with. Invest in a python or similar product. You will not spill water on the ground or have to lug heavy buckets anymore. 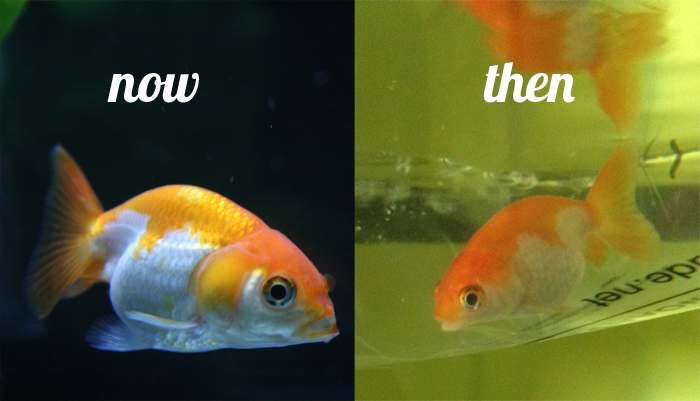 Next: Baffle your filters when you have young fish. Though there is never such thing as too much filtration, there is such thing as too much current. 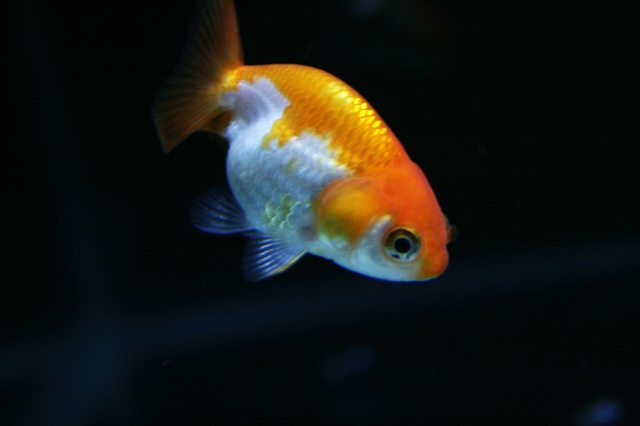 Current tosses your fish around and causes them stress. When they can’t rest it causes them stress and stress in turn causes your fish to secrete more ammonia and lower it’s immune function. Next: Baffle your filters with bottles, not with filterpads. I’ve learned this one the hard way. I had originally baffled my filter with a pad. It’s messy, and when it dislodges it creates particles in the water. It doesn’t look good in the tank. It’s not secure. It raises the water level in your filter creating a potential for an overflow. Get a plastic bottle. Cut the top and bottom off of it. Then cut it down the middle, wash it and boil it to keep it clean. 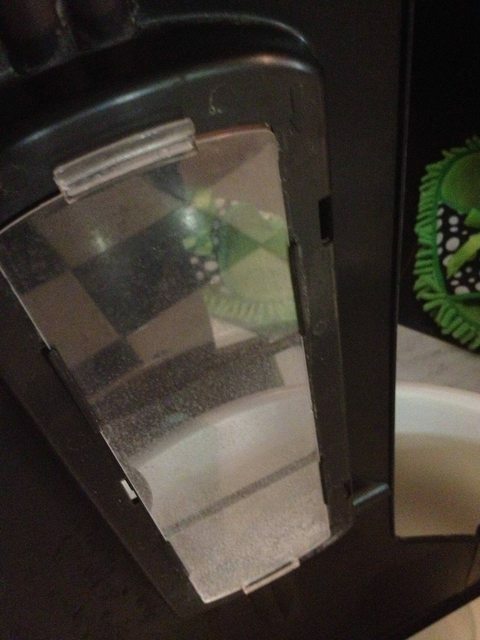 tape the top of it to your filter lid and allow it to curl under the filter. This stops the current. Here is a how to guide on it. Well as the title says I suppose to mention that a lot has been going on lately seems rather redundant at the moment. 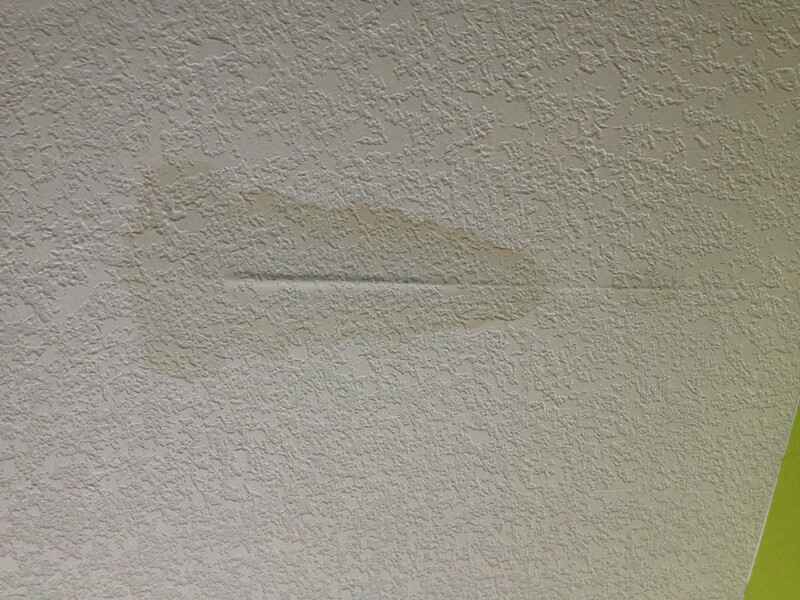 Not more than a week ago I woke up and came downstairs to get an ear full from my mother who quite frankly pointed out to me that there is a leak in our ceiling right from where the tank was above in my room. Of course like any person would do, I completely panicked. Inspecting both the ceiling and the wall behind my tank I was horrified to see what damage it honestly did to the house. And the tear down of the tank happened immediately. I think what had happened in my room honestly was due to a wonky floor that wasn’t completely level. My room is firstly carpeted which caused the stand to sink down into it and render the actual cabinets unusable due to the sheer weight of the tank itself. It turns out later on after the tank was there for so long and the floors were so obviously leaning towards one side, the tank finally ended up against the wall (which was never really my intention as when it was first placed in my room the tank was far from it. The filter finally had it as it was baffled and had a high water level in there and it leaked down the wall and to the floor which caused the damage to the ceiling the floor below. 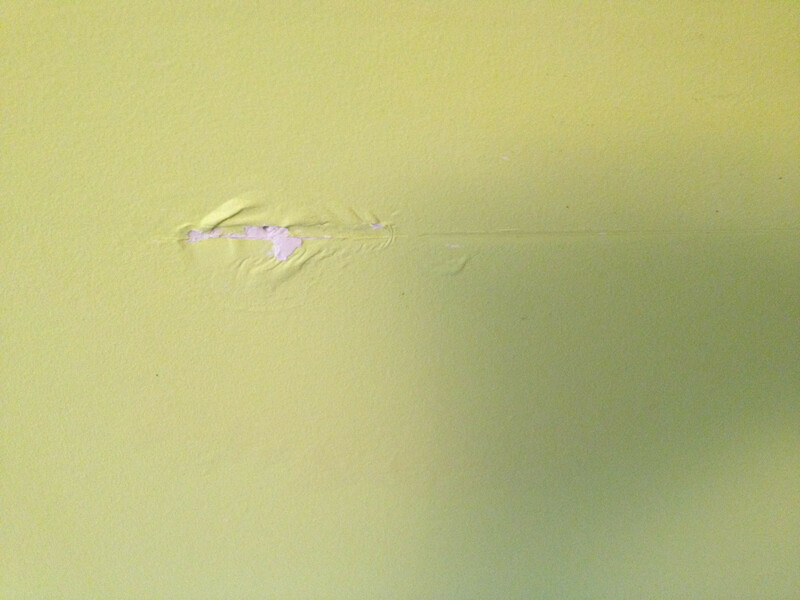 Here’s the damage it did cause. Tear down of the tank didn’t take too long. I had drained most of the water out of it and saved some undisturbed water for my temporary 10 gallon quarantine tank and finally caught Mango. I used a net but only because he is so small and fast that I think it would be more traumatic and drawn out for both him and myself if I had tried to catch him with my hand. Here was his temporary set up for the next few days. As you can see I had completely removed and disassembled the AC20. The AC70 has enough bacterial culture not only to keep my 10 gallon cycled and clean (although it had created too much current) it still had enough power and culture to keep my 20 running when it was set up again. Now in hind sight keeping this tank right by my bed side with no lid was probably not the greatest idea. The set up made my room smell strongly like a fish store. It was pretty awful and the set up was there for three days. I had done a leak test on my tank the moment I had noticed that the water level had gone down before I had disassembled it. What you do is you take a long piece of tape and you place it across your tank corners and wait. If the tape gets wet, you might need to re-seal your tank. Since mine is so new this was not the case thankfully. With the tank empty, the fish safe and the damage now drying up to the house it was time to take the opportunity to do some maintenance. I sanded down the lid where the cut outs for the filter had been. I removed hard water stains with vinegar and a lot of rinsing to remove all traces of the acid. And soon after I wanted to paint the tank. I find painted tanks the most attractive looking. Backgrounds are great, but the problem with it is the viewing quality and the constant taping. It wasn’t practical, nor was the tank as dark as it should have been. This and the backgrounds of course did not include the bottom which I would have also liked to have black. Now tank painting sounds permanent, but it really is not. The trick is to use acrylic paint. Acrylic is easy to apply and easy to remove. This paint is also cheap, non-toxic and less messy as opposed to spray paints. To start off I placed a garbage bag on my garage floor to keep the mess to a minimum. I placed the tank upside down against this bag and wiped down the surfaces I wanted to paint. Now the reason I turned the tank upside down is to make double sure that no paint would have a chance to get inside. I also did it to have access to the bottom. I always recommend that if you are painting the background you should also paint the bottom of your tank to match if you’re not using substrate like myself. 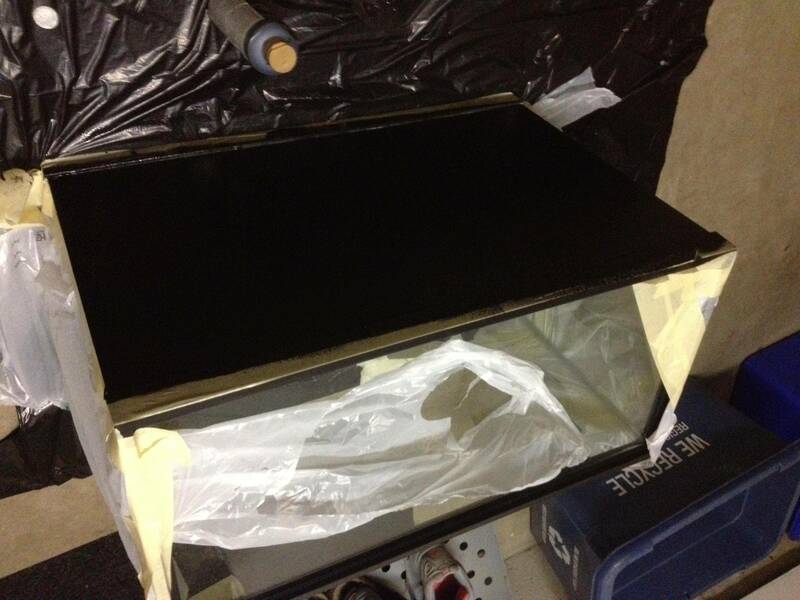 Getting some painters tape I firstly masked off the sides of my tank carefully in two layers. The first later was to get accurate coverage of the sides. 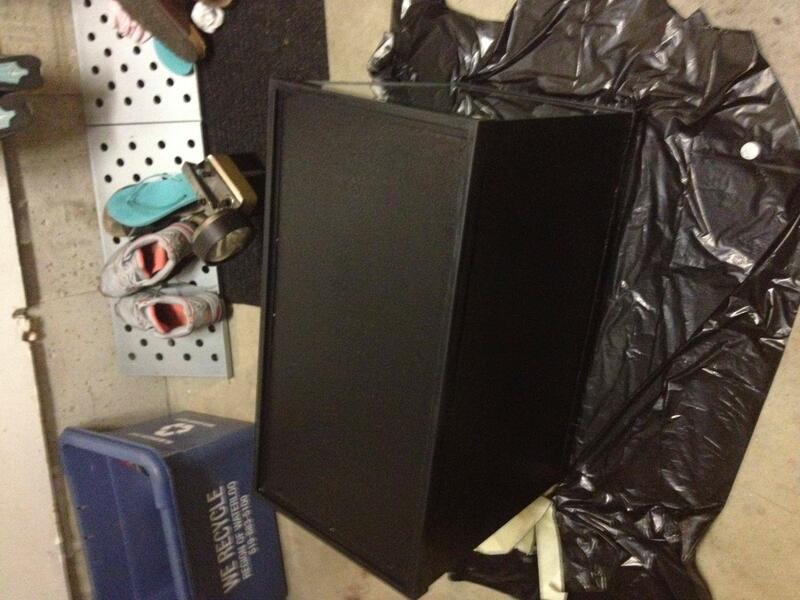 The second layer was to attach garbage bags across the sides to keep them clean. For application I used a paint tray and traditional sponge rollers. All in all it took about three layers before I thought it was opaque enough to look good. This will vary from tank to tank and the brand of paint you use also will play a factor in this. For the first layer of paint I recommend you leave it dry over night so that it adhere’s to the glass surface properly but for layers after that a total of 90 minutes between layers should do just fine. So now with the tank set up and painted the next step was to fill it. 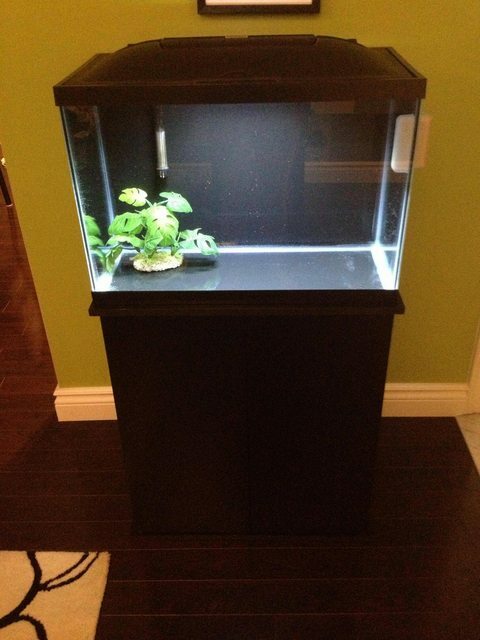 The tank was moved downstairs onto a hard wood floor. The surface here was level. With everything set up the next challenge was to fill the tank up with water. Since water changers were expensive it had always stopped me from purchasing a 50 footer to get up the stairs and to my room from the hard water tap but from here in the kitchen where I could get away with a 25 foot version I finally took the plunge. I used to carry multiple 25lb buckets up and down the stairs to the aquarium and it used to take me an hour and a half to do tank maintenance. Now with this new system it has cut down the time to 15 minutes and the water goes directly from the tap to my tank and reverse from the tank back into the sink for cleaning. It is fantastic! And now the tank was filled and the heater was left on to climb to a safe temperature for Mango to return to his main tank. The finished product before the filter was moved in looks like this. So the challenge was catching Mango yet again. The first thing I moved for him was the filter. I left the air stone in for him in his 10 gallon tank for as long as I could. Making sure the filter was level I plugged it back in and got it started. Shortly after that I re-baffled the filter. 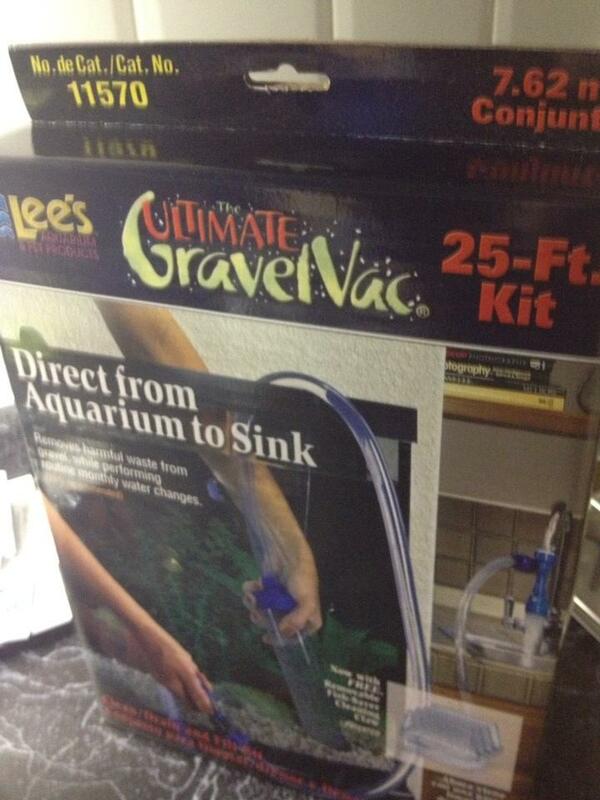 Then came the airstone, pump and some of the large river rocks I own. Then came the hard part: transporting Mango. It was when I had placed him in a large tupperware container for the trip down the stairs did I notice something was off: His scales were lifting. 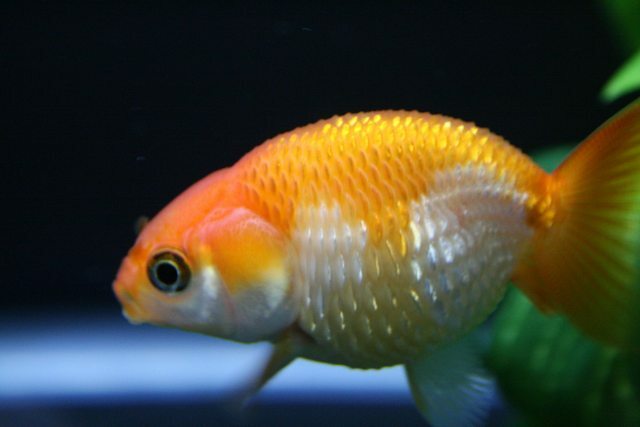 To any fish owner dropsy is a scary thing for your pet to go through. First comes lifting scales, then bloating and most often the fish dies from it or never fully recovers. Most survivors always have a chance into relapsing back into dropsy after they have had it the first time. Dropsy is not a disease, but a symptom caused by other problems. Mango was surely stressed out and put in an environment that wasn’t familiar to him. 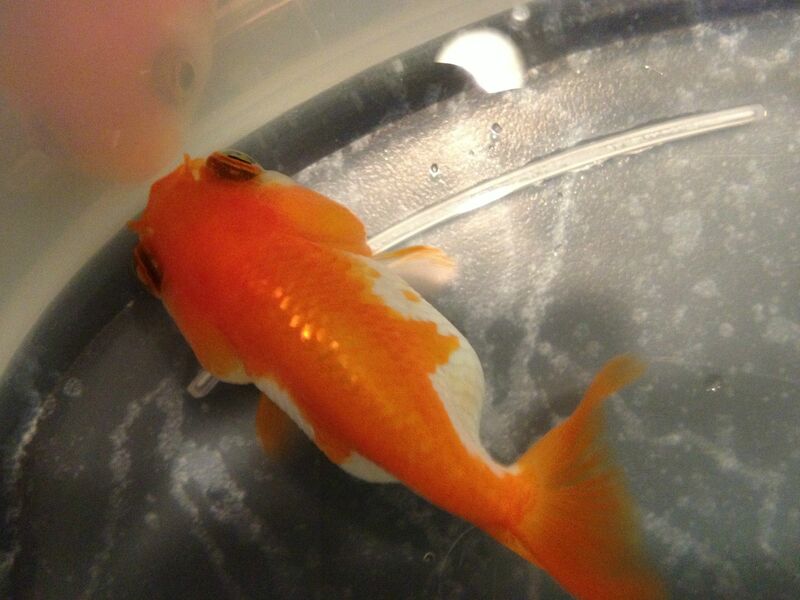 He was also kept in a 10 gallon tank with a very strong filter. My AC70 cycles through 300 gallons per hour meaning he was tossed around a little in that tank for a few days. Here was Mango right when I placed him in the tank. I was lucky I had caught this early with some observation. Notice the light lifting of scales. Now with this being noticed and a diagnosis being made it was important to act fast. The temperature in my tank needed to be raised to 78-80F. Higher temperatures help your fish’s immune system fight harder. Keep in mind that warmer water is harder to keep oxygenated. To combat this if you do not already use an air pump and stone I suggest setting one up for the duration your water will remain warm. The next step was to treat with Magnesium Sulfate. 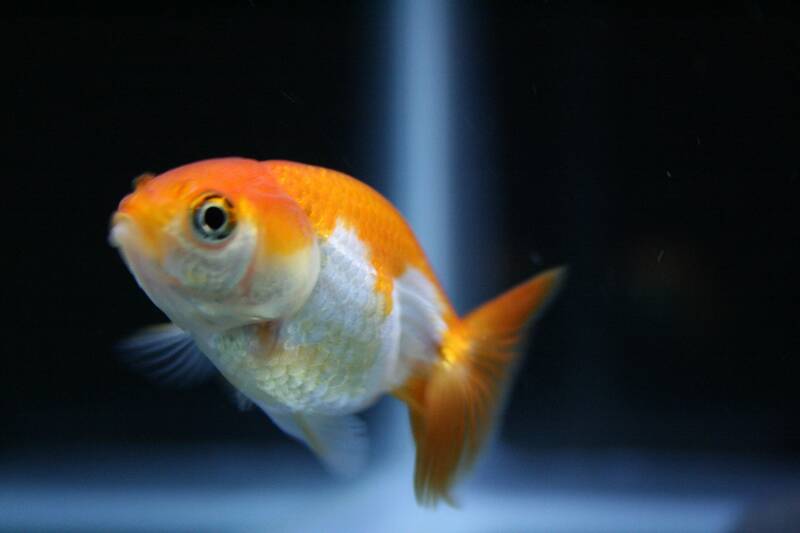 One thing to note is to NEVER treat a fish that has dropsy with salt. Although Magnesium Sulfate is Epsom Salt (MgSO4·7H2O), it is not true salt (NaCl). 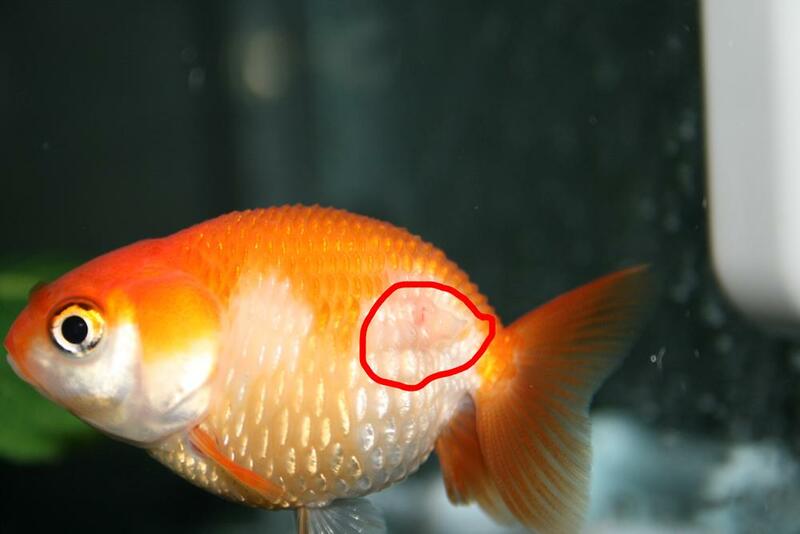 Salt will increase water retention in your fish causing it to bloat more and worsen the pine-coning effect in your fish. Epsom will help calm this. Epsom is dosed at 1/8 tsp (teaspoon not tablespoon) per 10 gallons. When introducing this to your tank, dissolve it in heated water until there are no visible grains left. Make sure you also use a dechlorinator in it before you place it in your system. Please note that when administering this as a treatment it should remain in the tank for no longer than 7 days. Past this point it will become lethal to your fish. 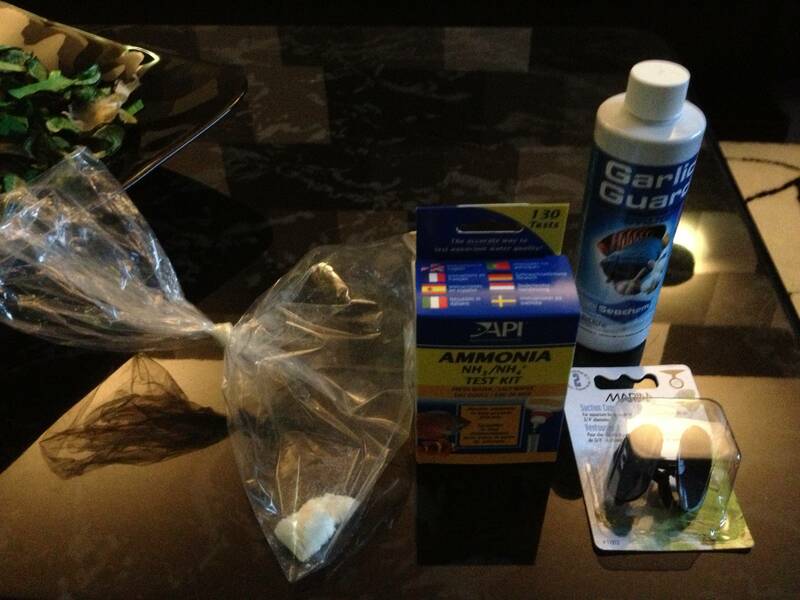 Like salt, you will need to do a 100% waterchange to remove it from your aquarium system. Another thing I would like to add is to fast your fish. Don’t give it anything to eat for the next couple days. What I did after a few days was started him out on foods that have absolutely no salt at all. Cucumber was on the menu, along with peas. Be warned: always read the labels for sodium. Peas that are canned should be avoided because of the salt content in them. After three days of treatment there is some visible improvement in Mango! I have decided to cut the treatment short to just 4 days as he is doing very well! Here’s a progress picture of him now. There still is some slight lifting of scales but this should go away within the next two days. Although looking at him now and realizing he’s still pretty small, I am happy to announce that the high quality food has affected him in some really good ways! There is growth! Not only growth in his over all body mass, but he has gained more muscle and his hood is considerably larger and more noticeable! Aside from his absolutely fantastic change from day one and good health, his high quality food has also caused a great colour change in his body! Colour enhancing formulas have caused my ranchu to grow yellow patches on his sides and belly. Now he’s got 4 different shades on his body. Deep orange, light orange (an old injury that caused him to lose and regrow scales at a different colour than the rest of his body) white and yellow can now be seen on him! In light of his recent colour changes I bring everyone some update photos!